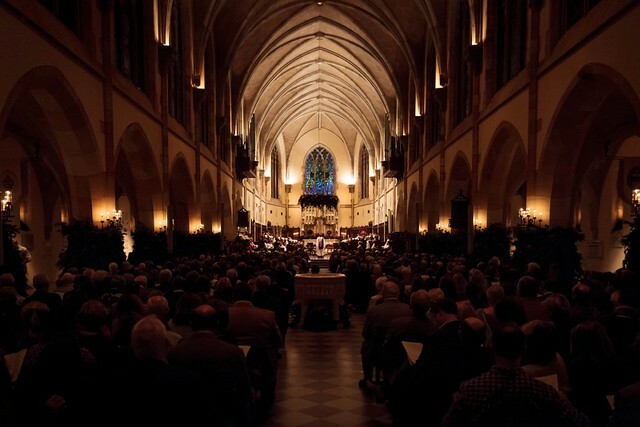 The 60th annual Festival of Lessons and Carols at the University of the South will be celebrated December 7-8, 2019. "One of the highlights of the school year is the annual service of Lessons and Carols near the end of the Advent semester. It regularly attracts as many as 3000 people to campus each year, and has been featured in Southern Living, as well as Garden and Gun Magazine. At these services, the University Choir performs with special guest instrumentalists and often premiers works that have been composed especially for the choir."